Do you have questions about Wisdom Teeth? Concerned about the procedure? Call Branchburg Oral, Maxillofacial and Implant Surgery Phone Number 908-218-0300 to speak to a staff member. We will need to see you for a consultation to determine if you will benefit from wisdom tooth removal. A special x-ray of your mouth and jaws (panorex) will be taken to determine if your wisdom teeth are impacted if there is room for them to erupt, and how difficult it will be to have them removed. 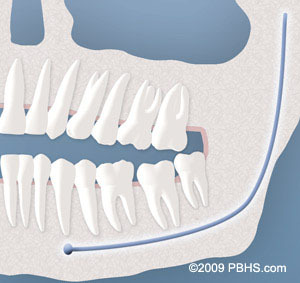 Soft Tissue Impaction: The tooth is underneath the gum tissue and cheek but is not beneath the jaw bone. 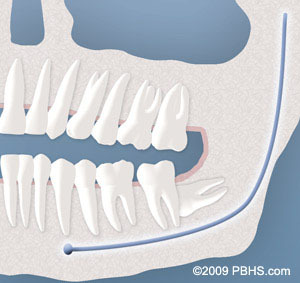 Partial Bony Impaction: There is enough space to allow the wisdom tooth to completely erupt. So the tooth cannot function properly in the chewing process, and creates cleaning problems and becomes a very high risk for the development of pain, infection, and decay. Complete Bony Impaction: There is NO space for the tooth to erupt. It remains embedded in the jaw bone and is at risk of developing an infection, damaging the adjacent tooth or developing pathology.